Hello there, just in case you are wondering what had happened to Seasaltwithfood or yours truly? Well, I am pleased to report that I am very well and still on my long summer holidays. Anyway, I would like to apologize to all my readers for not updating my blog as frequent as I should have over the last few weeks, and also, for not being able to participate in many of the recipe contest invites. It would have been great to participate in some of them; but unfortunately, it’s just not possible at the moment. Thanks for all the invites and I can’t wait to find out who are the talented winners! 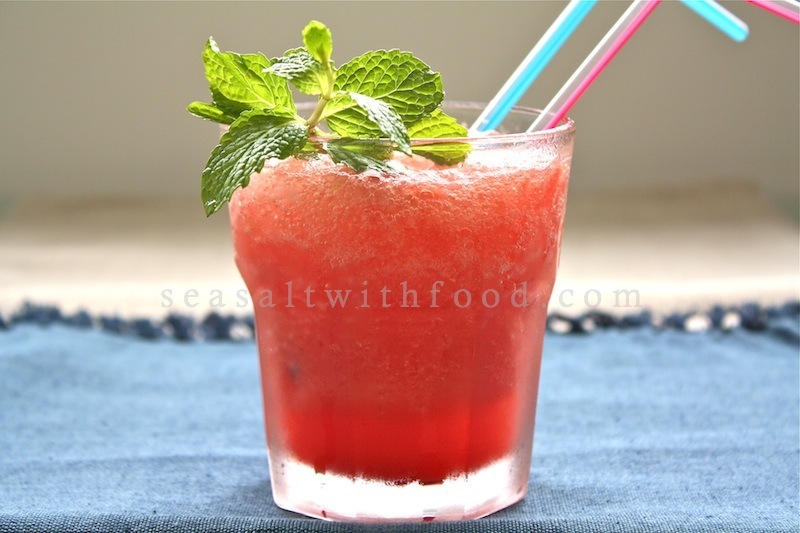 Combine the watermelon, sugar, lime juice, sea salt, and water in a blender and puree until smooth. 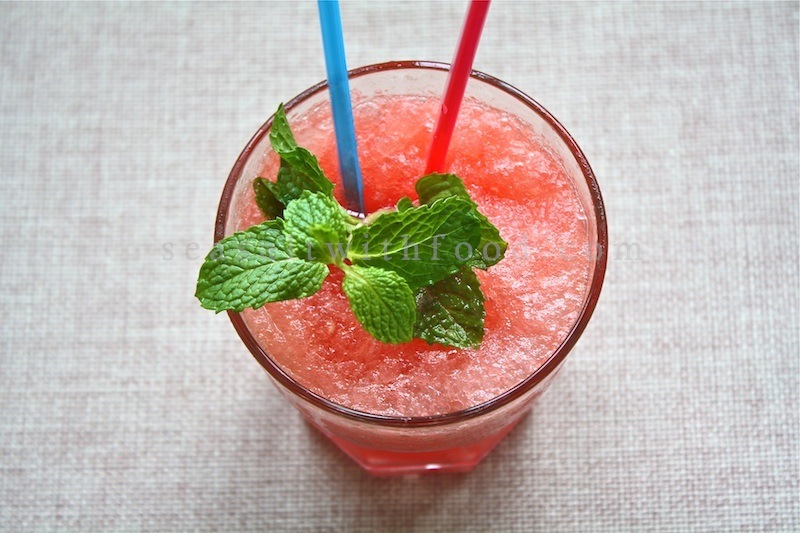 Pour the watermelon puree into 4 glasses, top with soda water, and garnish with a sprig of mint leaves. Stir, and serve immediately. Lovely post and idea for watermelon! Your blog is delightful! Congrats on being featured at the Foodbuzz TOP 9 today, Angie! It does look very refreshing!!! Summer is approaching Syndey. Will be trying this out. Yum. This sounds delicious. I have made watermelon agua fresca and that was good, but this might even be better.